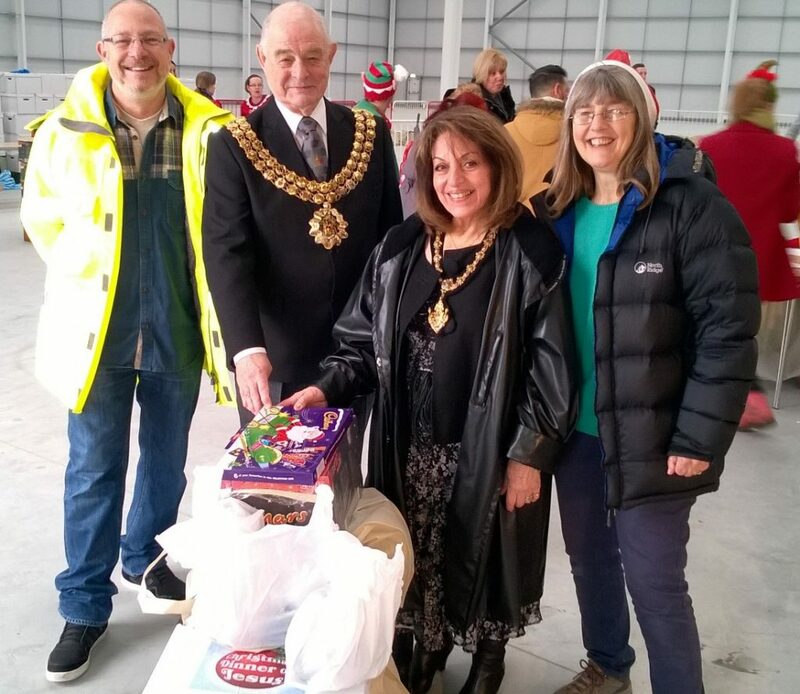 Urban Outreach Bolton – “The Bolton Family” did it! Home / Urban Outreach News / “The Bolton Family” did it! Tony and his wife were not looking forward to Christmas. Tony had lost his job due to ill health and he had his wife and two children to provide for on benefits. The family were nominated for a Christmas Dinner on Jesus hamper and they were delighted. They said that it will be a proper Christmas for them and that they were looking forward to sharing the dinner together. The two children also received gifts from Bolton Lions and the family said that they had been truly blessed this year! By 3pm on Friday 22nd December 2017, 4,110 people had either received a very special Christmas Dinner or it was on the way! This meant that 2,060 adults and 2,050 children were able to enjoy a festive Christmas Day meal from the Bolton Community on behalf of Jesus involving no assistance what so ever from Santa Claus or his trusted reindeer! Just how did this ‘present day miracle’ happen? As many will know 2017 brought the additional challenge of not having a unit where packing and distribution could take place. After much prayer, conversations and discussion, one week before the big day a brand new unit at Logistics North was miraculously made available by the joint venture between the Howarth Group PLC and the Lancashire County Pension Fund. It was an amazing ‘gift’ that went beyond our wildest dreams! Distribution Day at the unit arrived with everything and everyone ready and in place for individuals, agencies, churches and the Mayor and Mayoress to pick up and then deliver the Christmas Dinners on Jesus. This day only arrived as the result of many wonderful people from local churches, businesses, schools and the community coming together with Urban Outreach staff for one purpose: to make sure individuals and families felt cared for and thought of during the difficult time they were experiencing or had experienced in 2017. It is incredible that when we all come together, bringing our love, compassion and enthusiasm in order to bring a little hope into lives that are hurting such an incredible blessing follows. Thank you to everyone involved!